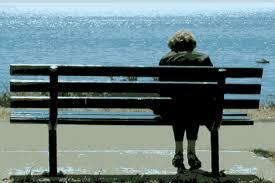 We’ve been through childhood, parenthood and now a lot of 70 year olds are facing widowhood. How do you feel about living alone I asked during my interviews? Upon reflection, Annie says she has never lived alone until recently when her husband passed away. She recalled she lived with her siblings and parents then married her husband. 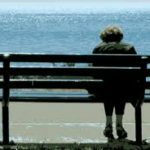 She lived with her husband and two children and when they left the nest she shared her life and home with her husband until he passed at the age of 76.”I am now, for the first time in my life, living alone” said Annie. It took some getting used to say many of the people I talked to. Hanging with some of their longtime friends and meeting new friends and staying busy was the formula for living alone. Men seemed to have more trouble with this aspect. Men seemed to have more trouble with being a widower. Take grocery shopping for instance. They tend to shop with a list more often than their female counterparts. Men stick to basics like bread, lunch meat and milk and like to garnish this meal with potato chips. Women would be more apt to buy canned tuna and make a tuna salad for lunch. Widow women are joiners. For example, they might join a Mahjongg group or a book club, a quilting bee or an art class. Widower, (men) tend not to want to join in on new experiences. Take Chuck for instance, he plays a lot of golf but does not make any effort for other kinds of activities. I asked him what he does when he is not playing golf. He said he hangs around the house and watches television. He goes out to eat about three or four times a week and usually fixes himself a sandwich and a beer for dinner when he eats at home. That has been his life for the last two years since his wife’s passing.